Ordinary Iranians have been struggling with accelerated inflation as sanctions begin to bite. 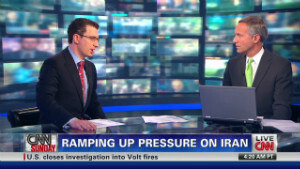 Tehran, Iran (CNN) -- Many in the West would like to see Iran punished for its nuclear ambitions. Tehran's residents would like those people to take a glimpse into their lives. The European Union announced Monday it is banning the import of Iranian crude oil and blocking trade in gold, diamonds, and precious metals, among other steps, adding to sanctions already imposed by the United States and the United Nations. The measures take a big toll on Iran's lifeblood oil revenues. The lives of ordinary Iranians have been deeply touched in recent weeks by the Western sanctions. Several spoke to CNN about how they are coping with staggering inflation and a plunging national currency, although none felt comfortable being fully identified, fearful of the Islamic Republic's long reach into private lives. Farhad, 47, was once comfortable, but things began sliding downhill when sanctions came and the foreign oil firm that employed him packed up and left. As a taxi driver, he works hard but saves little money. With the latest round of U.S. sanctions imposed on Iran's Central Bank last month, he has seen staggering inflation; the price of meat and milk have skyrocketed by as much as 50 percent. 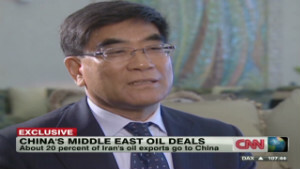 Can China make do without Iranian crude? He and his wife have stopped having guests at their home or going out to eat. They can't remember when they bought new clothes and no longer send their suits to the cleaners. "I feel bad for the cleaners," he says. "They must be suffering as a result of people like me not using their services." Farhad has a savings account that is shrinking fast as he dips into it to make ends meet. His 21-year-old son works two part-time jobs while he earns a degree in computer science. Farhad feels bad that he can't afford to buy him the computer equipment he needs. "I wait and pray for something to spark the economy and get it going, but I am not holding my breath," he says. "Life must go on. We can only wait and see what the future has in store for us." In the meantime, he says, the only way for his sons to live a decent life is to fall in with influential people or make shady business deals like trading foreign currency on the black market. The United States and other Western powers argue sanctions that target Iran's central bank, oil exports and foreign trade are designed to push Iran to cooperate at the nuclear negotiating table. They believe the Islamic Republic is developing nuclear weapons, although Tehran insists its program is reserved strictly for civilian energy purposes. Prospects for talks have been dimmed by recent bellicose talk and actions aimed at destabilizing the Tehran government. It's doubtful, most analysts say, that punitive measures will bring Iran to its knees. Doubtful, too, is that Tehran residents will suffer the same fate as their Baghdad counterparts, who for years, under international sanctions against Saddam Hussein's regime, faced dire shortages of basic goods. But as Iranian-American scholar Haleh Esfandiari put it, the latest sanctions have been back-breaking, not just for the less affluent but also for the middle class. "People are buying less because the prices have gone up," she said. "That affects the shopkeepers. It's a vicious cycle." For many people, monthly government subsidies of $40 or $50 are no longer enough to get by, Esfandiari said. President Mahmoud Ahmadinejad told parliament recently that the most recent sanctions -- imposed after an International Atomic Energy Agency report that said Tehran appeared to have worked on developing a nuclear bomb -- were "the most extensive ... sanctions ever." Ahmadinejad called the sanctions "the heaviest economic onslaught on a nation in history ... every day, all our banking and trade activities and our agreements are being monitored and blocked." With the punitive measures came the downward spiral of the Iranian currency, the rial, severely devalued in the past few months against the U.S. dollar. That plunge, said CNN's Fareed Zakaria, is a key indication of Iran's instability. "When Barack Obama became president, you could buy 9,700 rials with one dollar," he wrote in a column. "Since then, the dollar has appreciated 60 percent against the rial, meaning you can buy 15,600 rials. Tehran's reaction to the prospect of sanctions that affect its oil exports shows its desperation." The higher dollar, of course, has made imported goods unaffordable for most Iranians. Farhad says he eyed a refrigerator several months ago. It was made in Iran and affordable. But when he returned to buy it, the price had gone up 20 percent. The salesman informed him that parts of the fridge were made in South Korea. The soaring prices and declining currency values come at a time when Iran is already facing "huge challenges" created partly by government mismanagement and failures in foreign policy, said one economist in Iran. 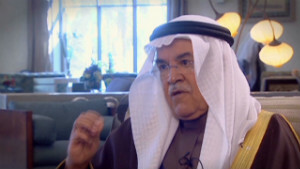 "I think the situation will be aggravated in the coming months," he told CNN. "We will witness higher inflation and unemployment rates with less economic growth." Those who study the impact of sanctions argue that they must hurt in order to be effective, but not to the point where they break the economy, like they did in Iraq. That does not bode well for Iranians trying to make ends meet. Yaqoub, 59, fancies himself a retired tea man. That is, financial losses forced the office where he worked to close three years ago. He now does odd jobs. He manages to make about $200 a month and receives another $135 from the government. The youngest of his three daughters is not married yet and still lives with her parents. He says the family gave up eating fruit -- it's too pricey and now is just a treat when guests come over. Red meat went up from about $6 a kilogram to $9. Dinner at his house means vegetarian rice and beans. "When I ask the shopkeepers why the prices keep going up, (they) say the government sets the prices and they have to do as they are told," he says. "People are hungry and this is why crime has gone up." He says his son-in-law's motorcycle was stolen in front of his house. Theft was not something he worried about before. 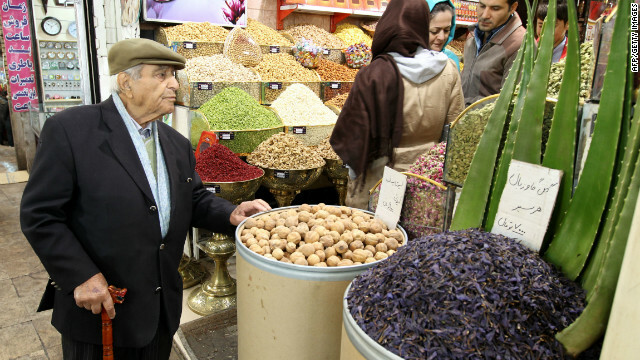 It's not just the price of food and consumer goods that are hurting Iranians. Services like electricity and water are costing more, too. 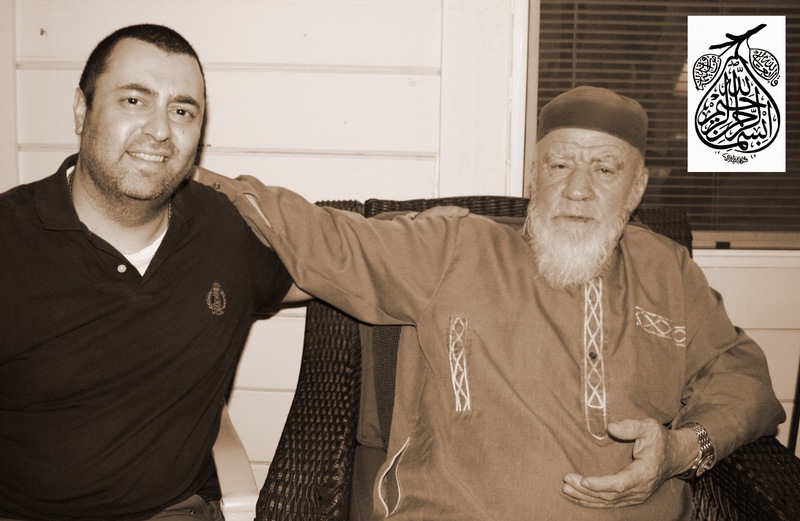 Yaqoub's monthly utility bill has almost doubled to $19 a month. Add it all up, he says, and it's tough to make it on his income. His wife tells him to stop worrying or he'll have a heart attack. "I guess if we get really stuck for our daily expenses, I would have to move to a cheaper apartment or, in the worst case scenario, there will be no choice but to go to the north and live with my wife's parents. At least I won't have to worry about the rent there," he says. Trita Parsi, president of the National Iranian-American Council, says sanctions are putting far more pressure on Iran's citizenry than on the regime they are intend to punish. "The government always has the ability to circumvent sanctions and shift the burden onto the population," Parsi says. Davood, 39, says he and his wife both have college degrees, but he earns money doing chores at an office -- making lunch, running errands, even cleaning. He worries for Assal, his 5-year-old daughter. Perhaps a day will come when he has to move to a less expensive city in order to pay for her education. "I see no chance for me to ever find a job where I can use my university degree," he says. "I am almost 40 now and as time goes by and I get older, no one will hire me. As it is, I am always worried that I may lose my job." Some Tehran residents are stocking up on things while they can afford it, and while they are still on the shelves. Rose, a retired nurse who survives solely on her government pension, bought a supply of grains and canned foods, just in case. She also feels lucky to own her apartment, so she doesn't have to worry about making rent. She says a friend recently was hospitalized for two weeks. It cost her more than $11,000. "Of course you cannot blame the doctors and hospitals because they have to pay for high-priced foods, materials and equipment," the nurse says. "Everything is related. High prices of food affect everything." Analysts say the government ought to be fearful of too much discontent. Unemployment and stagflation helped fuel the 2009 mass demonstrations that at times appeared on the brink of bringing change to Iran's authoritarian rule. Farhad says he understands he is caught up in global politics. "I don't know what must be done to correct the economic condition, but I don't blame the Americans and their sanctions," he says. Washington has to watch out for its own interests. And Iran, he says, must do what it can to safeguard its own. CNN's Shirzad Bozorgmehr reported from Tehran, Iran, and Moni Basu from Atlanta. CNN's Josh Levs contributed from Atlanta. This is a video of Dr. Adnan Oktar (Harun Yahya) meeting with Grandmasters of International Freemasonry..promoting unity between Muslims, Christians, Jews, Freemasons, etc. through the fatherhood of God and brotherhood of Man. 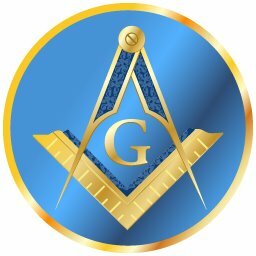 Freemasons have a lot in common with Muslims and are in fact supportive of religious freedom and the acceptance of Muslims in the community. Unlike some groups that alienate Muslims and are Islamophobic, Freemasons have a positive view of Islam and include it's philosophy within it's traditions alongside Christianity and Judaism. people: If you love Allah Follow me (the prophet) and Allah will love you." obeying the orders of the Prophet, Allah bless him and grant him salvation. and his attachment to people, money, and other things (such as alcohol or drugs). deeds and by true jihad. 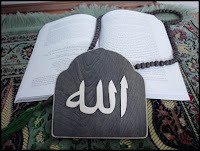 Allah, "If you love Allah, follow Me and Allah will love you." Al-Qurtubi said in his explanation of the words of the Sufi Sahl B.
the outer world is taking from it only what is needed for survival. exchanged between Allah and His slave?" care. And when the slave loves Allah he obeys him yearning to meet Him. death and not attached to the outer world. appreciation of the Beloved and in obedience and in conformance with Him. For the Lover is obedient to the one he loves." reaching-the fear of losing his life vanishes. meaning of the words of Allah, Exalted is He, "I have made you for Myself!" what is for Allah and what is from Him. A love of longing and a love because You deserve that love. from all other, through remembrance. But the praise is to You in this and that. For the one who loves inherits deafness. In it lies one's death. be greater than my love to myself. Why is alcohol prohibited in Islam? The science perspective. Companionship with bad people and evil-doers is the source of all sorts of wretchedness and misfortune. To clarify this matter, it suffices to say that if we ask the criminals and the evil-doers such as thieves and bandits the cause of their aberration and deviation, they will undoubtedly reply that the companionship and association with bad people have put them in such a situation. From among a thousand wicked and defiled people, not even one can be found who has chosen an indecent course of action deliberately. Amir al-Mu'minin 'Ali (as), states: "Shun the companionship of bad people, for a bad friend makes you similar to himself. Unless he succeeds in this respect, he will not accept you as a friend." 'Ali (as) also states: "Avoid the friendship of an evildoer, for he will sell you for a trivial thing." Associate less with bad people, for you will be distressed; since human nature is apt to acquire habits. MCLU: Alternative To CAIR or Complimentary? Be the change you want to see...is this an alternative to CAIR or is it complimentary? "MCLU strives to become the guardian of liberty, working in the nation's courts, legislatures and communities to defend individuals and preserve their civil rights and liberties guaranteed by the Constitution of the United States of America. MCLU seeks to contribute to the academic dialogue of the Muslim Community fostering intelligent and meaningful discussion of civil and individual liberties. To learn more, please visit www.MuslimCLU.org." Althought the MCLU seems rather interesting, I would love to develop an Islamic Internal Affairs organization for Muslim on Muslim rights violations. "Your Remembrance": New Single by Br. Sami Yusuf for Ramadan! 'Ala Bi Dhikrika' is the latest Single from the highly anticipated 'Salaam' album due for release Very Soon. Produced by ETM International. Copyright of ETM International. All Right Reserved. Nafs is an Arabic word (cognate of the Hebrew word "Nefesh" נפש ) which occurs in the Qur'an and means self, psyche, ego or soul. In its unrefined state, "the ego (nafs) is the lowest dimension of man's inward existence, his animal and satanic nature." Nafs is an important concept in the Islamic tradition, especially within Sufism and the discipline of gnosis (Irfan) in Shia Islam. Nafs means inner self - the evil side of your soul. It varies for every person. Tradition states it is a little black spot on the area where the person's heart is and it is mentioned in the hadith that the prophet Muhammad had this spot removed. 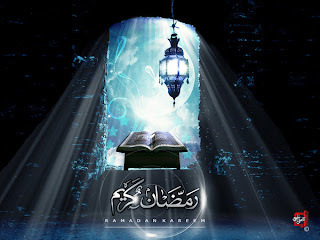 The 1st of the Holy Month of Ramadan 1433 A.H. The Office of his Eminence Sayyid Sistani in the Holy City of Najaf, announces to all honorable believers, it has been established according to his Eminence (may Allah prolong his life) that tomorrow Saturday is the first day of the Holy Month of Ramadan in Iraq, the rest of the Arabic countries and neighboring Islamic countries, as the case is in Australia, New Zealand, the countries of Africa, the United States of America* and Central and Southern America. As for Britain, Germany, France, Italy and such European countries and most of Canada*, Sunday will be the first of the Holy Month. 29th of Sha'aban 1433 A.H.
* The Canadian areas directly adjacent to the North of the United States of America are included to be Saturday. Why Do Muslims Have to Protect The Followers of Prophet Jesus (pbuh)? This movie depicts the life of Jesus (Isa) [Peace be Upon Him] from the Islamic point of view, as viewed in the Quran, and narrations from our Prophet Muhammad (pbuhp). All I ask from the viewers is to please pray for me, and for all the people on this Earth! A reliable source in the country, who cannot be identified for their own safety, told Barnabas Fund that children were being especially targeted by the kidnappers, who, if they do not receive the ransom demanded, kill the victim. And the source provided detailed information – some of which cannot be made public for security reasons – about incidents that have taken place since Christmas. Two Christian men, one aged 28, the other a 37-year-old father with a pregnant wife, were kidnapped by the rebels in separate incidents and later found dead; the first was found hanged with numerous injuries, the second was cut into pieces and thrown in a river. Four more have been abducted, and their captors are threatening to kill them too. On 15 January two Christians were killed as they waited for bread at a bakery. Another Christian, aged 40 with two young children, was shot dead by three armed attackers while he was driving a vehicle. These latest reports are reminiscent of the anti-Christian attacks that have become commonplace in Iraq since the 2003 US-led invasion, and heighten concerns about the future for Christians in Syria as the anti-government protests there continue. Several expert commentators are calling into question the narrative being spread by Western media about the nature of the unrest in Syria. They argue that it is not merely an internal conflict between the government and the rebels but has become an international battle for the balance of power in the Middle East. What we are seeing in Syria is a deliberate and calculated campaign to bring down the Assad government so as to replace it with a regime 'more compatible' with US interests in the region… Not for the first time are we seeing a close alliance between US/British neo-cons with Islamists (including, reports show, some with links to al-Qaeda) working together to bring about regime change in an 'enemy' state. The battle for the regional balance of power pits an alliance of the US, Israel and the Sunni Muslim states of Saudi Arabia, Qatar and the Gulf against the Shi’a regime in Iran and Hizbollah, the terrorist organisation that it sponsors. Syria is integral to Iran’s position, and, says Saudi King Abdullah, “Other than the collapse of the Islamic Republic itself, nothing would weaken Iran more than losing Syria”. Much of the conflict is being driven by Saudi Arabia and Qatar, who are now repeating in Syria what they have done in Tunisia, Egypt and Libya to establish a Sunni Wahhabi Salafist entity, thus intensifying the pressure on Iran. A Western-backed military campaign in alliance with the Syrian rebels against the Assad regime is looking increasingly likely, and this could be devastating for the Church in Syria. Christians in Syria have enjoyed a considerable measure of freedom and protection under President Assad; if he falls, there could be a repeat of the tragic near-extermination of the Church in post-Saddam Hussein Iraq. On 6 January, 2012, the Council of Evangelical Churches in Baghdad was dissolved, signalling another nail in the coffin for Christianity in Iraq. The once sizeable Christian minority there has been reduced to no more than a few hundred thousand today. The Christian community in Syria is already suffering as a result of the unrest there and this will surely only intensify in the event of Western-backed military intervention. Christians in the West should not stand by and allow their governments to destroy Syria – and the Syrian Church – in pursuit of their own political interests in the region. I urge Christians not to accept blindly all the mainstream media reports about this conflict but to read for themselves the carefully considered arguments of dissenting voices. And we must pray that the Lord will protect His people in Syria from a repeat of what happened to the Church in Iraq following the illegal US-led war. When Barnabas Fund carried stories about the horrific anti-Christian violence in Iraq post-2003, there were many sceptics who did not believe us. Today, this is accepted reality. Many of our imams, sheikhs and ulama are completely out of touch with today’s young people, and I use the term ‘young people’ in the loosest possible sense, as the disaffected include people now well into their 40′s, even some older than them… For the most part, Islam is not being presented as a 21st Century faith, even though it’s central message and concepts are timeless. We need to change that, or Islam will quite simply disappear for good! A new spirit of openness needs to be cultivated, inclusive of everyone interested, most especially women and young people. Less emphasis on mullahs, who while they may know their books, have next to no understanding about the modern world and the challenges faced by people today, during their day to day lives. Approximately 2 million people in Indonesia leave Islam for Christianity every year. Why is this the case? Why are people not satisfied with Islam? Why are they willing to abandon Allah? Join us in our mission to save a generation of Indonesians and help us bring Islam back into their lives. Spread the word. Save Maryam. ** Please note: No music was used in the creation of this video, beat boxing was used as an alternative. The report at 00:35 is for demonstration purposes only, however the fact is valid according to International Crisis Group. As-salaamu alaykum wa rahmatullahi wa barakatahu. SIDI said today that he will be giving a very special, strong and clear teaching for all the beloveds at this Event! As Sidi says - Don't Miss Your Chance! Register: Please register for the event now ! ! ! Tuition: Your tuition goes to support your Mosque. It defrays the many expenses of putting on the event and making sure you are taken care. Your generosity is greatly appreciated. Register: Please register for the event, room and board now ! ! ! Stamford, CT – May 30, 2012 – Saffron Road™, the packaged food brand of American Halal Co., is now shipping a family-sized portion of Chicken Tikka Masala to select Costco stores on the West Coast. From Saffron Road’s single-serve frozen entrée, to the new Simmer Sauce, consumers love Saffron Road’s Tikka Masala products. The new Chicken Tikka Masala family portion is ideal for families who want to enjoy authentic Indian cuisine at home, that are easy to make. “Our Muslim consumers have expressed their desire to see family sized portions of our Halal Certified meals, and we’re happy to provide this new meal option the whole family can enjoy,” says Saffron Road Chief Executive Officer, Adnan Durrani. Consumers can find the new item now at select Costco stores in the freezer aisle for the suggested retail price of $10.99 each. All Saffron Road products are Halal Certified by the Islamic Food and NutritionCouncil of America (IFANCA). Halal is an Islamic tradition that has healthfully fed literally billons of people over the last 1,400 years. Halal promotes the sacred tradition of respect for the land, fair treatment for farmers, humane treatment of livestock and clean, healthy food to eat. There are upwards of 6 million American Muslims with over $170 billion in purchasing power that are looking for Halal products. Saffron Road’s All Natural Certified Halal entree uses chicken that is Certified Humane by Humane Farm Animal Care. All of Saffron Road’s livestock are fed 100% vegetarian feed and are never given Antibiotics or Hormones. “We are excited to now have our brand in Costco stores,” says Saffron Road Executive Vice President, Jack Acree. “We know that a lot of our consumers seeking Halal options are shopping at Costco stores already, and are often looking for authentic meal options for the entire family,” continues Acree. Saffron Road is now available at the following Costco stores: Arizona – Tucson, Scottsdale, Tempe, Phoenix, Gilbert, Glendale, Chandler. California – San Diego, Chula Vista, Carlsbad, La Mesa, Temecula, Poway, San Marcos. Colorado – Aurora, Westminster, Lone Tree, Superior, Broomfield, Arvada, Colorado Springs, Parker, and Sheridan. American Halal Co. markets All Natural Halal Certified food under the Saffron Road brand. Adnan Durrani, the CEO, and Jack Acree, the EVP, are serial entrepreneurs having been involved in companies like Vermont Pure Spring Water, Stonyfield Farms, Inc., Alexia Foods, and Terra Chips. The Company’s management and Board represent a team of proven entrepreneurs at building premium food brands. Saffron Road’s mission is to offer All Natural Halal Certified and Gluten Free foods, which are also holistic, sustainablyfarmed, and antibiotic free. Saffron Road’s products are sourced from livestock which is fed only 100% vegetarian feed and are humanely treated. The Company seeks to bring its mission to a higher awakening with the local and global community, embodying a socially conscious company ethic as well as setting the standard for premium qualityHalal Cuisine. For more information about Saffron Road, please visit saffronroadfood.com. You can also join us on Facebook at facebook.com/saffronroadfood, on Twitter at twitter.com/saffronroadfood or on Pinterest at pinterest.com/saffronroadfood. Muslim Holocaust in Burma: Where is the Media? This is bigger than Syria...there is a massive government ethnic cleansing going on in Burma, but where is this to be heard on the news? Apparently reports say that about 20,000 Burmese Muslims have been killed in less than two months, however there is not much on CNN about this. The Nuclear Threat: Which Countries Have Nuclear Weapons? "Which countries have nuclear weapons and how many warheads do they have? The Young Turks host Cenk Uygur breaks down a map from the BBC listing the stockpiles in the United States, Russia, Pakistan, Israel, China, the UK, France, India and North Korea - what about Iran and potential war? Watch - "The former chief of Israel's Mossad agency, Meir Dagan, tells Lesley Stahl that Iran is a "rational" country and now is not the time for a strike on their nuclear facilities": http://www.youtube.com/watch?v=udCFPClOAeY"